Hardscape is the industry term for everything in the project that is made of stone, concrete, or brick. The hardscape concept details all the elements of hardscape going into the project, hardscape includes concrete, stone pathways, mow curbs, retaining walls, pillars, etc. The hardscape concept also includes the types of treatment on concrete such as broom finish, stamped or colored concrete. 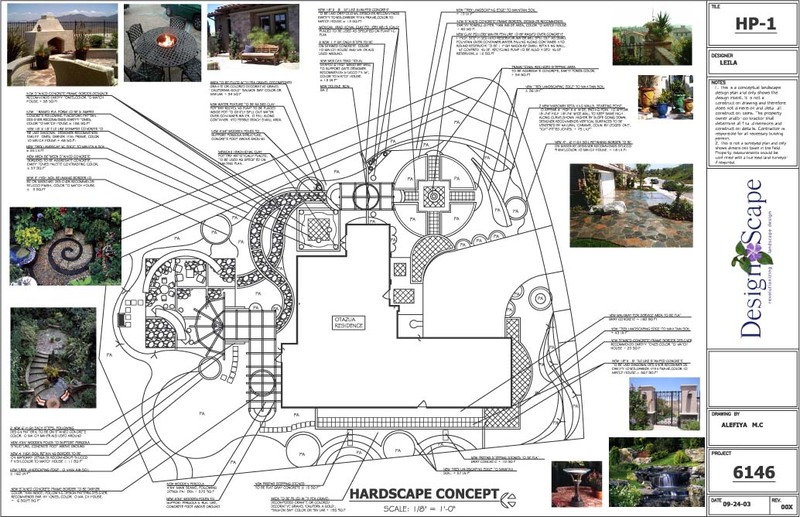 Once a hardscape concept is complete, our Auto CAD® software is able to compute the square footage and linear footage of all the elements of hardscape which can be used by contractors to prepare their bids.